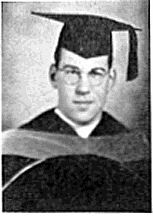 Salomon in 1937, a brand-new graduate of the USC School of Dentistry, then known as the USC Dental College. It took nearly six decades for Congress to recognize his valor. Ben Salomon, a School of Dentistry graduate who died an Army hero on the South Pacific island of Saipan 57 years ago, was awarded the Congressional Medal of Honor on May 1. Although there were no surviving family members to accept the medal, Salomon had two of his greatest champions at the White House ceremony. John Ingle, former dean of the dentistry school, and Robert West, a graduate, fought their own long battle to get the soldier-dentist recognized for his courage. Salomon graduated from the then-USC Dental College in 1937, had his own practice and was drafted into the U.S. Army as an infantry private in 1940. He traded in his drills and picks for rifles and machine guns and soon became an expert marksman and a leader in the 102nd Infantry Regiment. Salomon liked being a soldier so much that when he was asked to become an officer in the Army Dental Corps in 1942, he tried to stay in the infantry. His request was denied, and soon his military life became a balance of two worlds – Salomon treated patients in the morning and trained with the 105th Infantry Regiment in the afternoon. The regiment was shipped to Saipan in June of 1944, and Salomon – now a captain – volunteered to replace a surgeon who was wounded in a mortar attack. A series of events led to the desperate situation Salomon and his fellow soldiers found themselves in on the morning of July 7, 1944. In a last ditch effort, a Japanese army commander had ordered a banzai attack on the American forces and committed suicide with Vice Admiral Chiuchi Nagumo, the leader of the 1941 attack on Pearl Harbor. The Japanese forces, which numbered in the thousands, advanced on the American troops and breached the perimeter of the area where Salomon was treating the wounded. With rifle, knife and bayonet, he fought off the Japanese soldiers who tried to enter the tent and ran outside to get help, according to official accounts. Gunners assigned to protect the aid station had been killed. When Salomon realized he was on his own, he ordered his medical staff to evacuate the wounded while he stayed behind to fight off the enemy. “He went outside, picked up one of the machine guns and yelled back to his men, ‘I can do a lot more out here than I can in there. Evacuate all of these wounded men back to safety. … I’m going to hold these guys off as long as I can,’” said West, who took up Salomon’s cause in the mid-1990s. Salomon was later found slumped over the machine gun, his finger still on the trigger, his body riddled with 76 bullet holes. Nearly 100 Japanese soldiers lay dead around him. “It ends up that he saved the lives of all of those men, including all of the medics and the wounded men in that tent,” West said. Salomon was unsuccessfully recommended for the Medal of Honor several times during the few decades. Efforts on his behalf were made by fellow servicemen-; Ingle who tried from 1969 to 1972; and West, who worked on the project from 1997 on. Although the government hadn’t recognized Salomon’s heroism, he was not forgotten in the dental and military communities. In 1969, the School of Dentistry named a clinic after him and, in 1973, a dental clinic at Fort Benning, Georgia, was dedicated to his memory. In March of this year – after dozens of letters sent during a five-year effort – West got a call from the Pentagon with the news that Salomon’s citation was on President Bush’s desk. West and Ingle traveled from Southern California to Washington D.C., to accept Salomon’s Medal of Honor. West said he plans to give it to U.S. Army Major Gen. Patrick Sculley, chief of the U.S. Army Dental Corps, who will, in turn, give it to an army museum in San Antonio, Texas. A replica will go to the USC School of Dentistry.